No business or building owner wants their space to get overrun with pests. Bugs or small animals that make their way into an office can distract workers, make a negative impression on potential clients, and even lead to health and safety hazards. 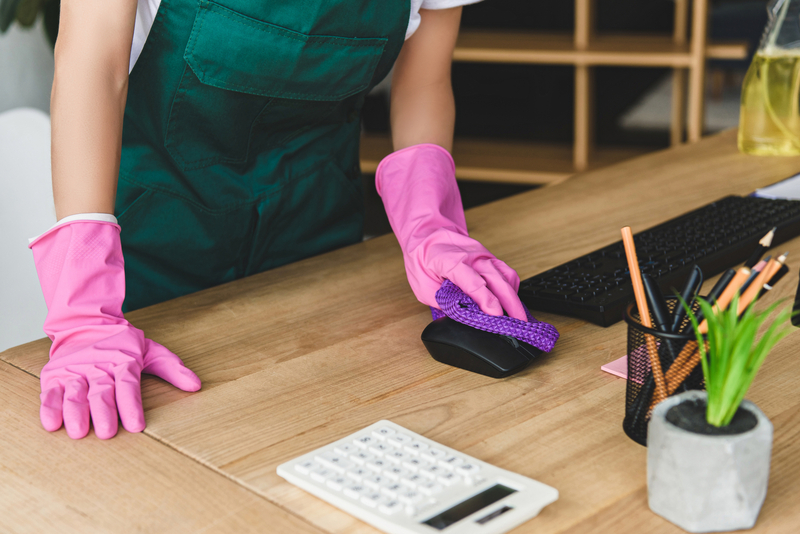 With some updated policies and cleaning supplies, you can create an environment that’s less attractive to potential intruders, and thus better for you and your team. Here’s what you should know. Bugs and rodents use their sense of smell to find potential food sources. If there are sticky spills all over your countertops and crumbs on your floors, they’re going to come running. Though it is important to have a nightly cleaning routine, you shouldn’t wait that long to clean up messes. Keep cleaning supplies, like all-purpose surface cleaner and paper towels, easily accessible in the kitchen or near your desk, so anyone who drops or spills something can clean it up on the spot. You can also work to prevent messes before they happen by creating policies surrounding food. For instance, if you only allow people to eat and drink in the kitchen area, you can more easily monitor spills and access the cleaning supplies to clean them up quickly. Also, make sure everyone keeps their lunches in sealed containers and closes the lid on each trash cans every time they throw something away. In addition to cleaning up spills, it’s also important to have a regular maintenance routine for the entire building. Make sure the office is organized and clear of unnecessary clutter, and the landscaping around the building is trimmed neatly. This gives pests fewer places to hide, making the space less attractive to them. It also gives you an opportunity to call a pest control company right away if you do notice anything. As you can see, proper cleaning and maintenance are vital to keeping office spaces free of pests. Find all the cleaning supplies and janitorial equipment you need to accomplish this goal with South Central Kentucky Janitorial Suppliers. Based in Somerset, KY, the family-owned and -operated business has been serving homeowners and businesses throughout the region for more than 30 years. The experienced team can help you determine exactly what type of cleaning products you need, and they’ll even deliver them right to your door for free. Send the company a message online or call (606) 687-0525 to place an order over the phone.